If you're looking for a WP Engine alternative, look no further than Kinsta. We're powered exclusively by Google Cloud Platform and offer a unique approach to managed WordPress hosting that we promise you've never seen before. We have nothing against WP Engine. They were the original pioneers of the managed WordPress hosting industry and set the bar for the rest of us. However, over time WP Engine has become too big and issues with performance and customer service are increasingly common. Every day we encounter WP Engine clients that are looking for alternatives that will speed up their sites and provide higher quality support. People ask us all the time how we're different from WP Engine, and that's the question we'll answer here. Below, we'll dive into how Kinsta is not your typical WordPress host and the benefits we offer. 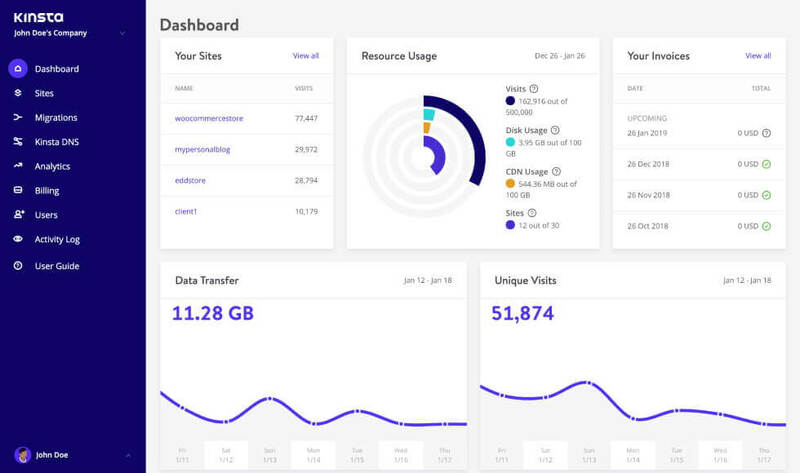 From day one Kinsta was built for performance and scaling so that your WordPress sites would stay online during traffic surges. Our hosting platform doesn't fall into any of the traditional hosting categories. Our entire infrastructure is built on the Google Cloud Platform and is very different from traditional shared, VPS, or dedicated infrastructure. Kinsta utilizes LXD managed hosts and orchestrated LXC software containers for each site. What this means is that every WordPress site is housed in its own isolated container, which has all of the software resources required to run it (Linux, Nginx, PHP, MySQL). The resources are 100% private and are not shared between anyone else or even your own sites. We don’t offer shared hosting. Migrated a site onto Kinsta that got over 1 million pageviews yesterday with around ~1500 active users all day. Performed incredibly well. When you come to Kinsta you get the same core infrastructure whether you’re on a Starter plan or Enterprise plan. It makes upgrading and downgrading your plan seamless and painless. On the other hand, when you need more server power at WP Engine you may have to move from a shared environment to a VPS, then to a dedicated server or over to cloud hosting, with site migrations required at every step along the way. We’ve been using WP Engine for years, and our sites have been getting slower and slower. They won’t tell us the specs of our dedicated server, and they also don’t know if our server has crashed – we have to tell them before they will put our sites back online, which isn’t ideal for a managed service. Our website moved over this morning, and we can’t believe how much faster it loads on Kinsta, both in the admin and the front-end. It’s a shame that WP Engine has got so much worse as they have grown, and they don’t care about their customers at all. This is proven by the fact that your main point of liaison for any concerns is a salesperson trying to convince you to upgrade! Our auto-scaling infrastructure is ready to handle your sudden surges in traffic and load. With our isolated software container technology, hardware resources are allocated to each site container automatically by our virtual machines on an as-needed basis. The result is a hosting configuration that is secure and private by design while simultaneously allowing server resources to scale up or down as needed based on the demands of the site. Knowing that the simple migration to a Kinsta server will produce page load speeds that exceed those of WP Engine, a company known for speed, we feel great guaranteeing page load speed improvement for every client—no matter where they’ve been hosting. And more than 100 sites into that guarantee, we’ve never lost. Fast server-level page caching in place with rules to ensure proper WooCommerce and EDD functionality. By default, certain pages that should never be cached, such as cart, my-account, and checkout, are excluded from caching. Users automatically bypass the cache when the “woocommerce_items_in_cart cookie” or “edd_items_in_cart” are detected to ensure a smooth and in-sync checkout process. Kinsta is the fastest WordPress host you’ll find on the web! Review Signal publishes an annual review, where they do rigorous performance testing of the top hosts in the industry. Kinsta has scored “top tier” performance four years in a row. While WP Engine has in fact failed in some of their tests. This test detects whether a website is caching the front page and determines how well the caching system is performing. Kinsta handled 5000 concurrent hits to the front page without any issue. WP Engine struggled with this test. Around 20 seconds into the test, there was a substantial increase in response time which continued to slowly increase for the rest of the test. The errors and timeouts started to kick in 5 seconds later at the 25-second mark and also gradually increased until the test ended. Kinsta had essentially perfect LoadStorm and Blitz tests. They also had no flaws in any other tests. I'm at a loss for words to praise their performance. Unfortunately, WP Engine was the only company in this tier [Enterprise] not to do well. They struggled in both load tests. LoadStorm looked like it may have been security related, but Blitz looked like it really had trouble with the load. I believe the plan I tested cost $600/month, but the sales team wasn't willing to give me specific pricing for their enterprise tier. SSH access, Git, and WP-CLI on all plans from Starter to Enterprise. We allow you to use custom setups like Bedrock and Trellis, as well as starter themes such as Sage. We have one-click staging environments which allow you to easily push changes from staging to production as well as a site cloning feature. WP Engine currently has two different staging environments: legacy and their new version. Besides being confusing for users, the legacy staging environment also has setbacks; such as not copying across your entire uploads folder, wp-config.php issues, and the lack of SSH. We allow you to run a different version of PHP for each live site and staging site and switching between PHP engines takes just one-click. You can restore automatic backups to production as well as staging. We leave post and page revisions enabled by default. While we recommend limiting or disabling these, we believe this should be your choice. Loading your site over a reverse proxy is possible, and we have many clients who do so. Faster search with the Elasticsearch add-on and faster database performance with the Redis add-on. You can add your own New Relic Application Performance Monitoring (APM) API key in our MyKinsta dashboard. Our support team can also enable this for you temporarily to help troubleshoot performance related issues on your WordPress site. At WP Engine this is not supported, and is only available as an add-on on custom Enterprise plans. Here is a quick overview of some of the key differences between Kinsta and WP Engine. As of March 1, 2018 WP Engine’s re-structured plans fall into five primary tiers: Personal at $35/month for one site, Growth at $115/month for 5 sites, Scale at $290/month for 15 sites, and then higher premium and enterprise plans. They no longer offer lower-tier plans in-between. WP Engine has both a total visits and bandwidth limit in place across all of their plans. If you exceed either of these you are charged an overage fee or are required to upgrade to a higher plan. Kinsta’s plans are only limited by total visits. Of course, like any host, we do have acceptable use policies in place, but there is no hard bandwidth limit. It’s also important to note that overage charges at Kinsta are billed at $1 for every 1,000 visits over your plan’s limit, while overage charges at WP Engine are $2 for every additional 1,000 visits. We also offer a 30-day money-back guarantee with no strings attached, whereas WP Engine will only prorate refunds on annual plans that have given at least a 30-day notice. For a limited time Kinsta is excited to offer unlimited free migrations to all WP Engine customers wanting to make the move to Kinsta. This offer is valid through April 30, 2019. WP Engine doesn’t offer free migrations but instead consists of a do-it-yourself plugin. The issue with this method is that it doesn’t bring over data or images stored outside of the /wp-content/ directory. Redirects also don’t get moved, which are critical to prevent SEO disasters. For larger and more complex sites this quickly results in data loss or could even fail entirely if you don’t know what you’re doing. Unless you’re a developer with time to burn, it’s much safer to let our expert migration team take care of everything for you. Moving your site to Kinsta usually won’t incur any downtime and we’ll help you inspect your migrated site prior to going live. We don’t have level 1 or level 2 support reps. Our entire support team is made up of WordPress developers and Linux hosting engineers many of whom have managed their own servers, created themes and plugins, and contributed back to core. This ensures you’ll receive expert advice from someone who actively uses and develops with WordPress. Every Kinsta client gets to chat with the same team members that support our large enterprise and Fortune 500 companies. In fact, we hire less than 1% of applicants who apply. You won’t find better support anywhere else! With WP Engine, basic issues are usually taken care of easily. However, for any issues which are complex, a resolution will take some time and there will be a lot of back and forth. This is a problem when you are running a high-end WordPress site and there is a pressing issue that needs to be handled quickly. If you are asking for my single recommendation between the two, in my opinion, Kinsta is better. They offer much more than they promise. You never have to worry about site slowness, downtime, getting quality support, or any other hosting-related issues. Kinsta also monitors your sites' uptime every minute which means that our slowest response time is 5 minutes to any downtime that may occur. Our staff is alerted instantly and quite often we start resolving the issue before you even contact us. I've tried many different hosts - LiquidWeb, SoftLayer, WP Engine, Web Synthesis, Rackspace, etc. Out of all of them, Kinsta has been the best in terms of support, speed, and pricing. I’m very impressed with the knowledge and skill of the support team, as well as response times and not having to deal with your typical 'level 1' support. Expert support fast, what more can you ask for? 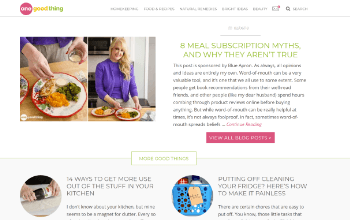 WordPress site runs really fast with Kinsta and it was very hard to find the necessary expertise with these other companies. Additionally, I love the fact that I can up-scale a server for a week during peak traffic times to handle the load. Amazing. WP Engine offers three data centers by default and three additional international locations available for a monthly fee. For example, if you choose WP Engine’s Scale plan, the base cost is $290/month (As of March 1, 2018). If you wanted to host your site outside of their standard 3 locations, say in Germany or the UK, it would be an additional $70/month. Their Australia data center is an additional $100/month. Depending on which plan you choose this can add up to a 40% increase in your monthly price. Providers also vary based on what plan you choose. Everything at Kinsta is interconnected over the highly reliable Google Cloud Platform premium tier network. This is designed to minimize distance and hops, resulting in faster and more secure global transport of your data. Beware, some hosting providers might opt for Google’s “standard tier” network service without telling you to cut costs, but we believe in only utilizing the best here at Kinsta. Choosing a location near you and your visitors will result in faster SFTP download and upload speeds, making file transfers quick and painless. You're back-end WordPress dashboard will also feel more snappy and responsive, especially when uploading files to the media library. Kinsta cares about the performance of your site, not just from our data center, but at every point around the globe. That’s why we partnered up with KeyCDN, an HTTP/2 and IPv6-enabled content delivery network (CDN), and include free bandwidth across all of our plans. KeyCDN’s content delivery architecture was built from the ground up with a focus on high-performance and designed for high throughput and low latency. When enabled, your content will be delivered and cached from their 35 POPs around the globe, this includes all regions: America, Europe, Asia, South America, Africa, and Australia! WP Engine currently uses MaxCDN as their CDN provider and it only has 19 locations. Some regions aren’t included. Our CDN also automatically helps protect against bad bots as well as checks all the boxes when it comes to industry standards such as GZIP and HPACK compression. Kinsta has become one of the fastest growing managed WordPress hosts thanks in part to the many happy customers helping to spread the word. Whether you're an agency, freelancer, or blogger, Kinsta is proud to offer true profit sharing with one of the highest paying affiliate programs in the hosting industry. You earn $50 to $500 after every signup based on the type of plan you refer. On top of that, you get a 10% monthly recurring commission for the lifetime of the customer you referred, enabling you to build passive income. We never settle for anything less than perfection at Kinsta. That's why we built our WordPress hosting affiliate dashboard from the ground up, meaning you don't have to mess with another confusing and cluttered 3rd-party platform. This allows our developers to easily build in new features as needed to help you earn even more. WP Engine offers $200 per new customer or 100% of the customer's first monthly payment (whichever is higher). They don't offer any way to build passive income and utilize the third-party and cumbersome ShareASale affiliate dashboard. 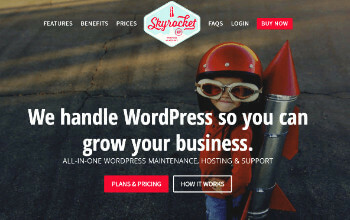 We weren't satisfied with any of the existing control panel solutions on the market, so we built our own from the ground up specifically for WordPress website management. Use our search and replace tool to make bulk updates on your site - for example, change HTTP URLs to HTTPS or update old shortcodes. Detailed analytics including bandwidth and visitor data, CDN usage and insights, cache HIT and MISS ratio, and performance analysis data. Many MyKinsta features have come directly from our client’s feedback. We actively listen to all requests, and if something can help make everyone’s lives easier and more productive, you can count on us looking into it. I searched for months for a reliable, affordable WP host, and I found everything I was looking for in Kinsta. My site performance has improved significantly and their service has been excellent! Almost a year into our relationship with Kinsta, the support we get doesn’t just meet, but legitimately surpasses what we got (and at the time really enjoyed!) from WP Engine. With super-low problem-to-solution times and competence for days, we haven’t experienced support at this level from any company of any kind—including award winners like WP Engine and Apple. No kidding. Kinsta will never stop innovating and providing clients with the latest and greatest technology. If you don’t believe us, check out our feature updates. We push out new integrations, tools, and features at a rate faster than anyone in the industry! We stand behind our service and want you to be happy with your hosting. We are proud to offer a 30-day money-back guarantee and no long-term contracts. Try out Kinsta risk-free for 30 days!